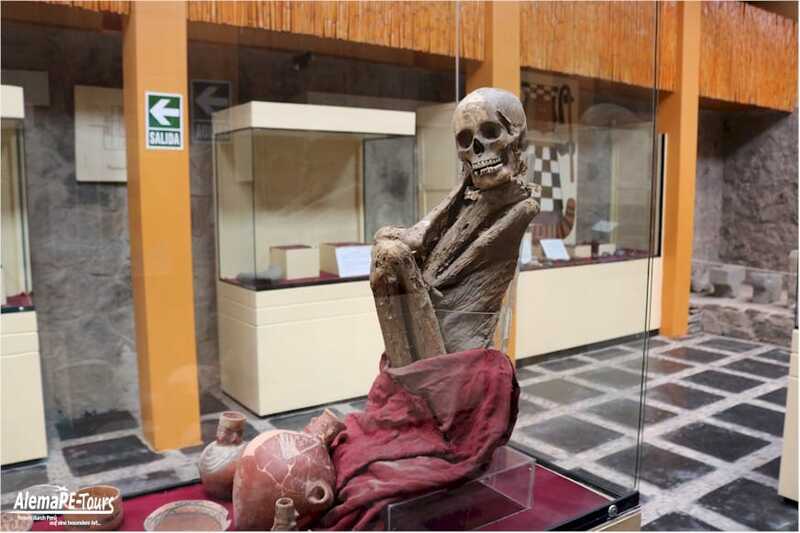 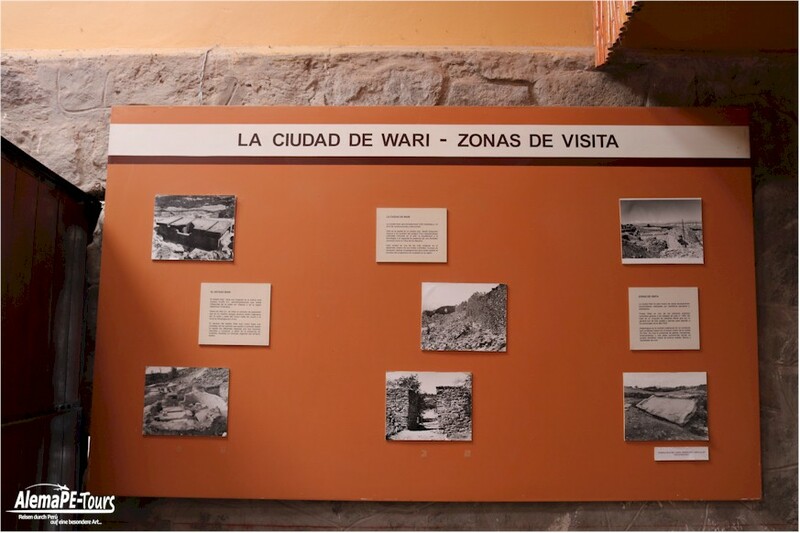 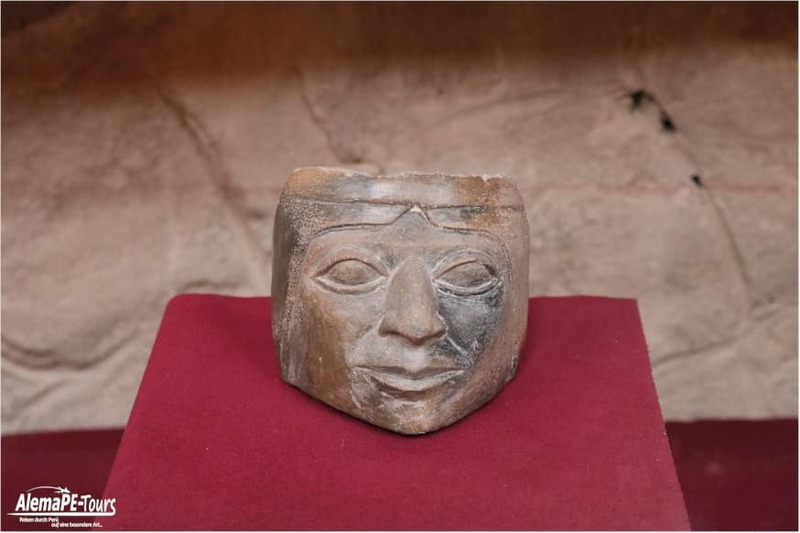 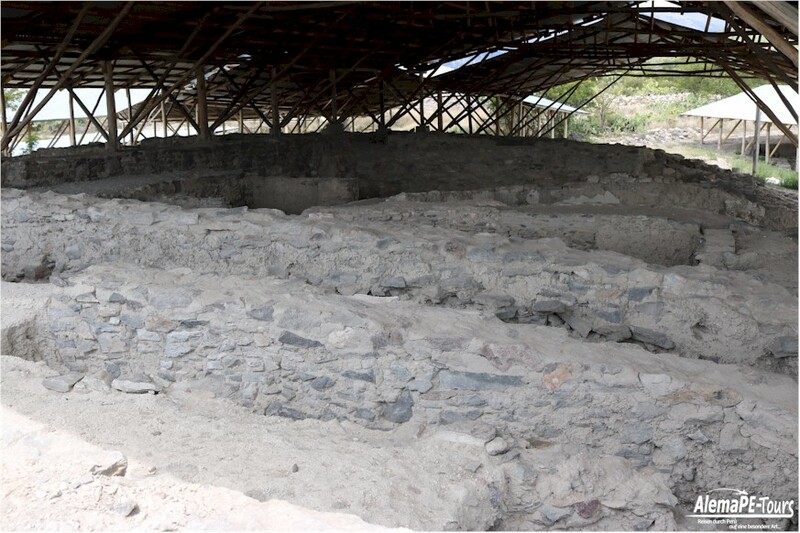 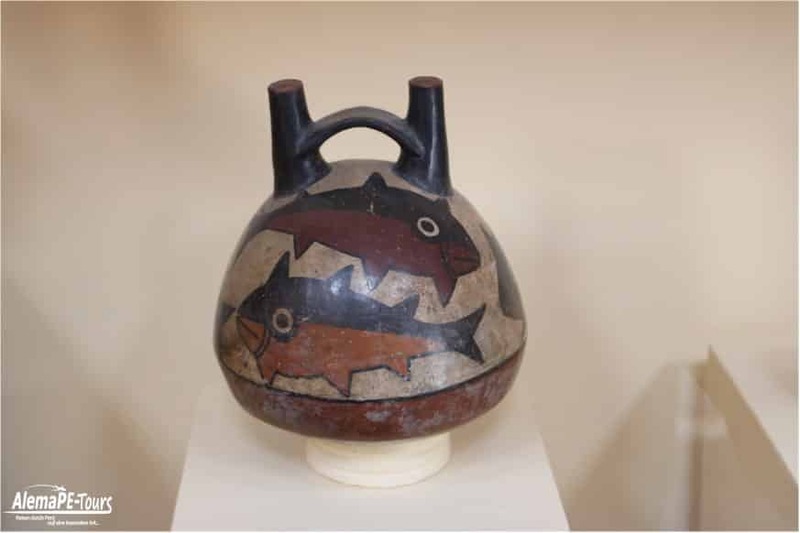 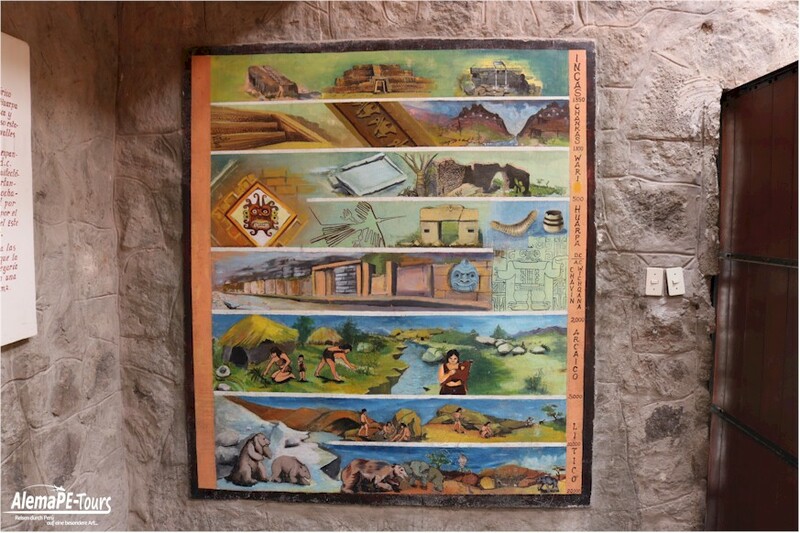 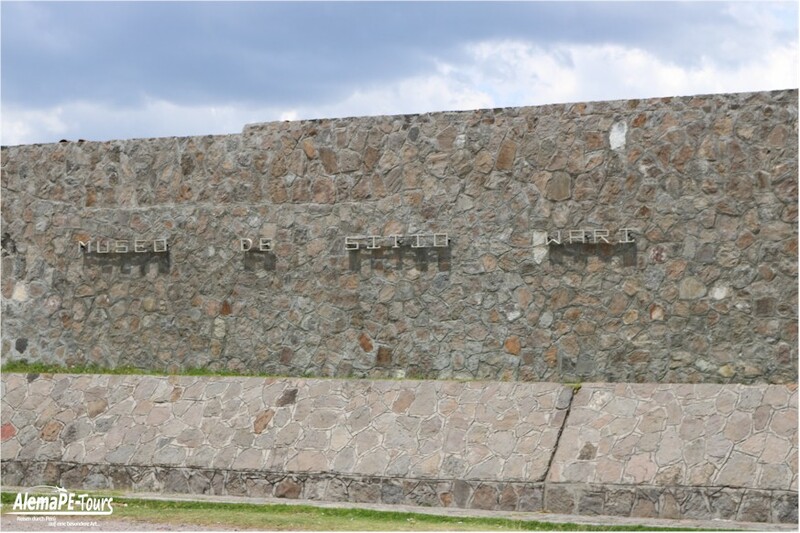 The Wari Site Museum is an archeological museum located near the archeological complex of Wari, in the department of Ayacucho. 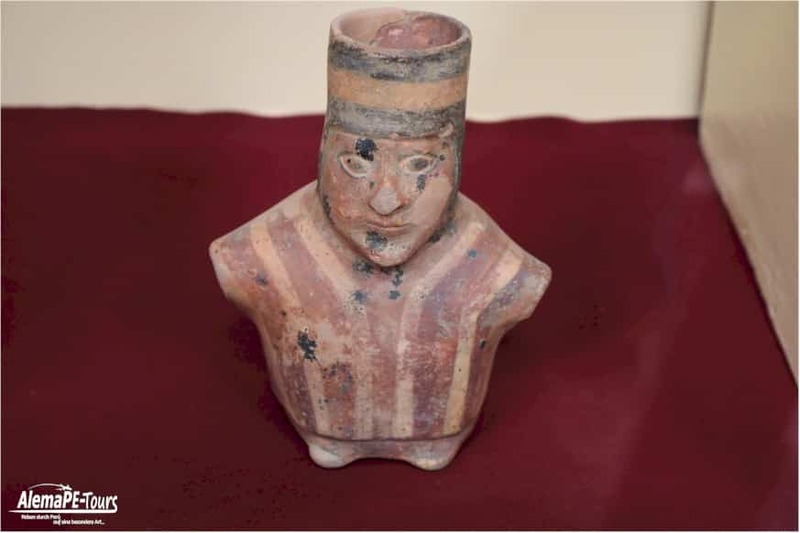 The collection is made up of ceramics, bone remains and lithic objects discovered during the research excavations. 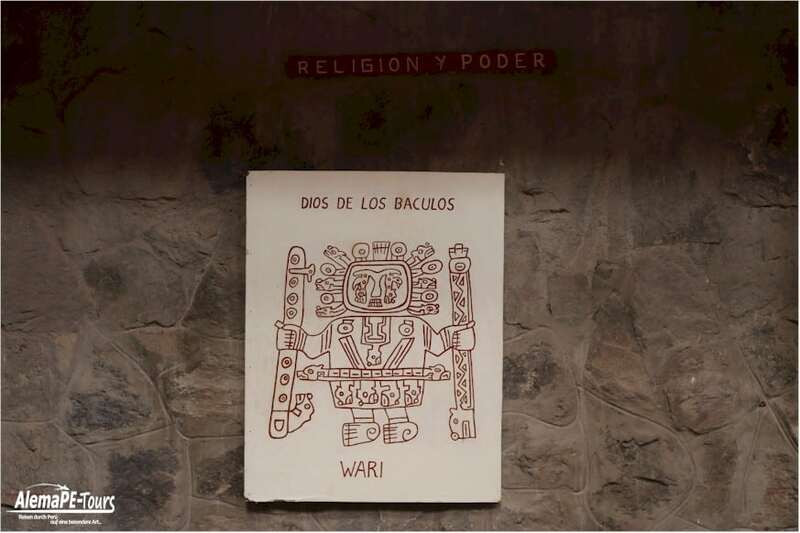 It has photographs and engravings that explain about the Wari culture. 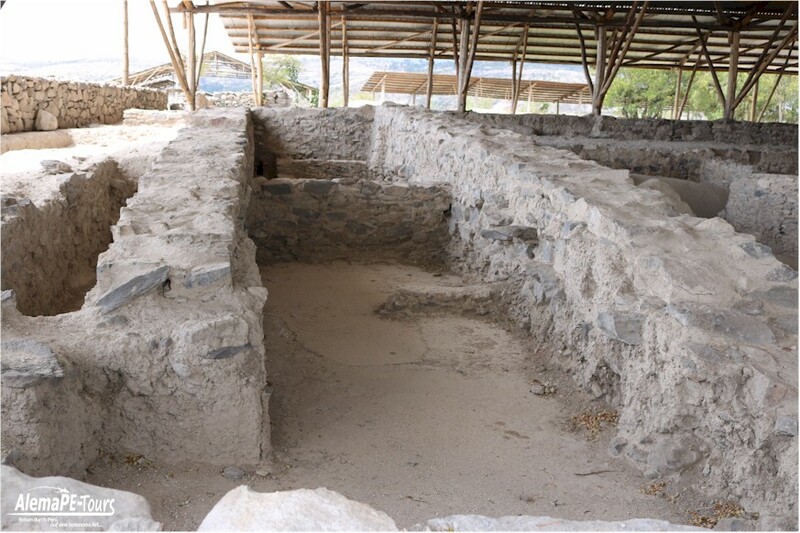 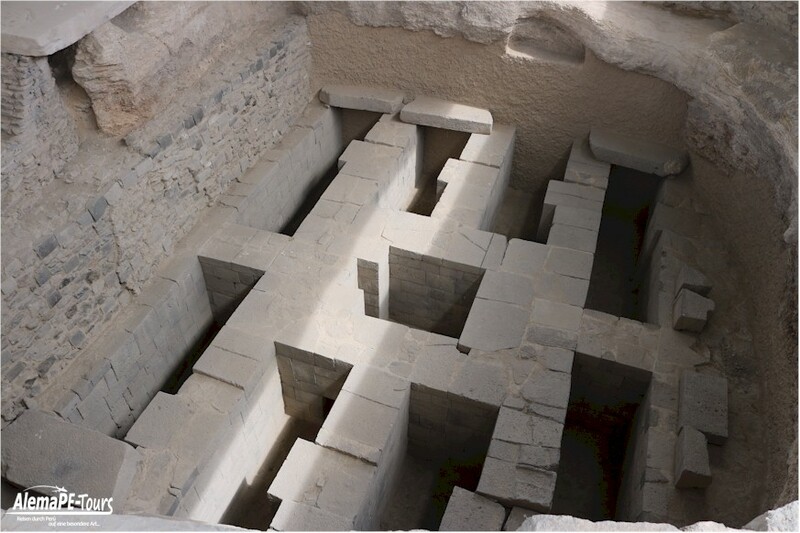 This archaeological complex belonging to the Wari culture (600-1100 AD) is one of the largest urban centers of ancient Peru that occupies an area of approximately 2,000 hectares. 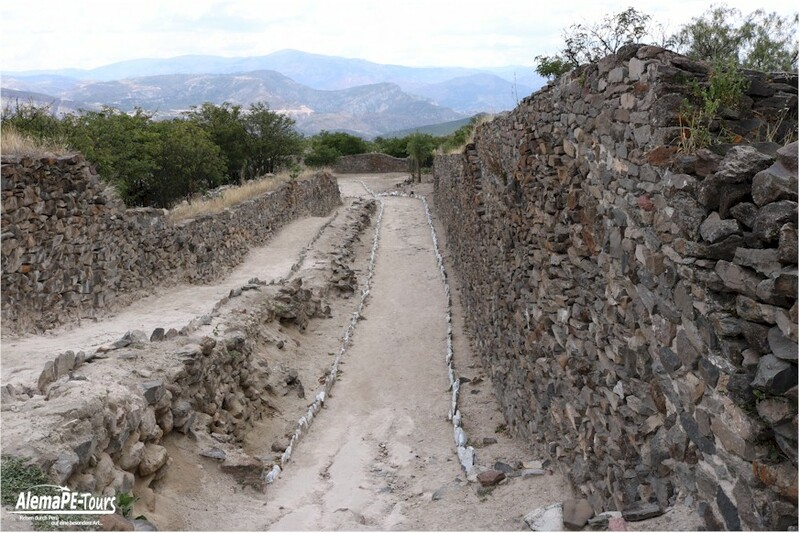 It is in the central urban nucleus where the main buildings are located. 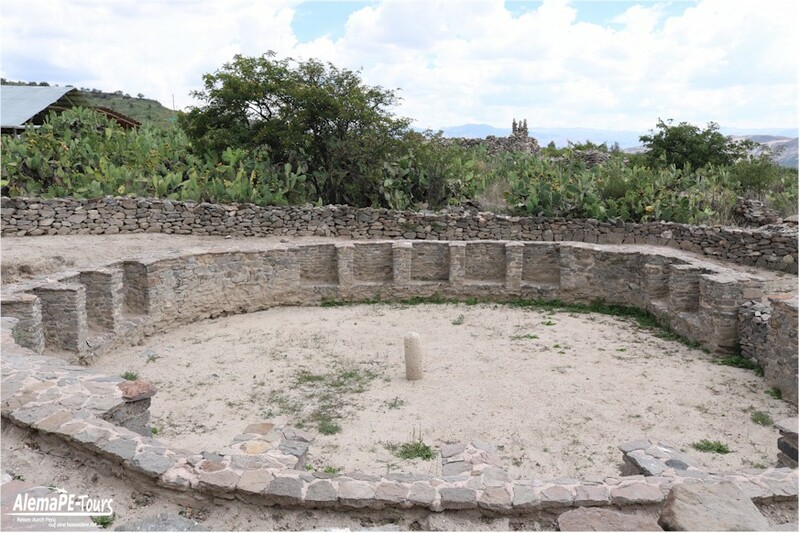 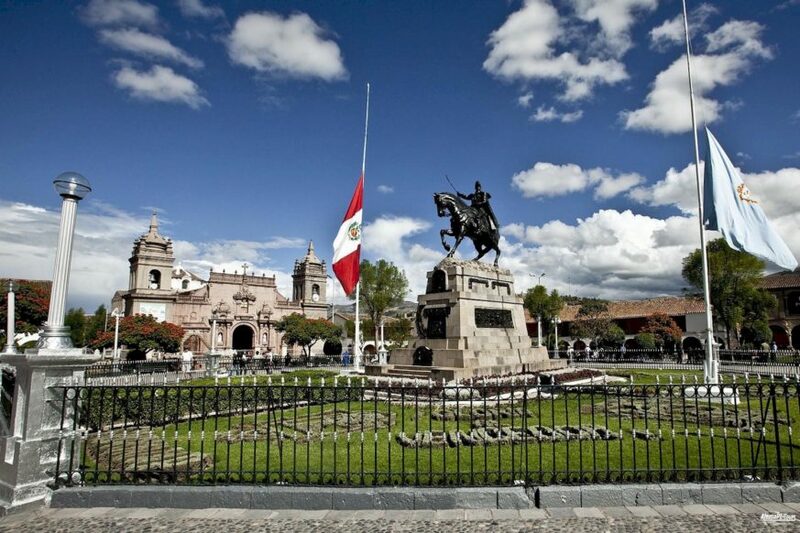 Chronologically it is related to the Middle Horizon and the first references can be traced in some chronicles such as that of Pedro Cieza de León, which dates from 1553. 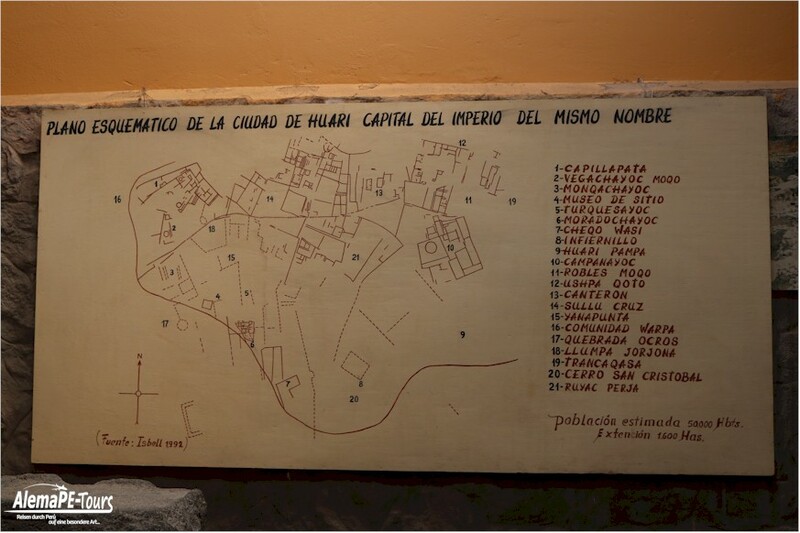 It consists of different sectors called “neighbourhoods”;. 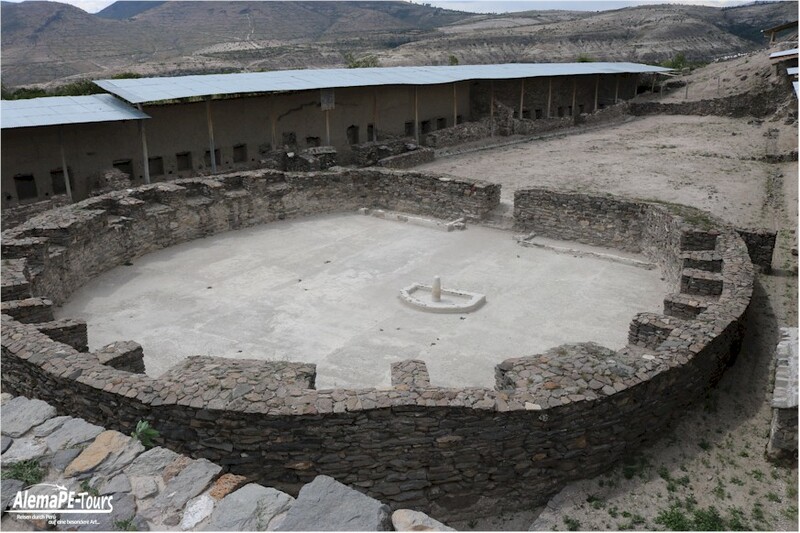 The buildings are made of stone and clay covered with a fine plaster, mostly painted with red and white. 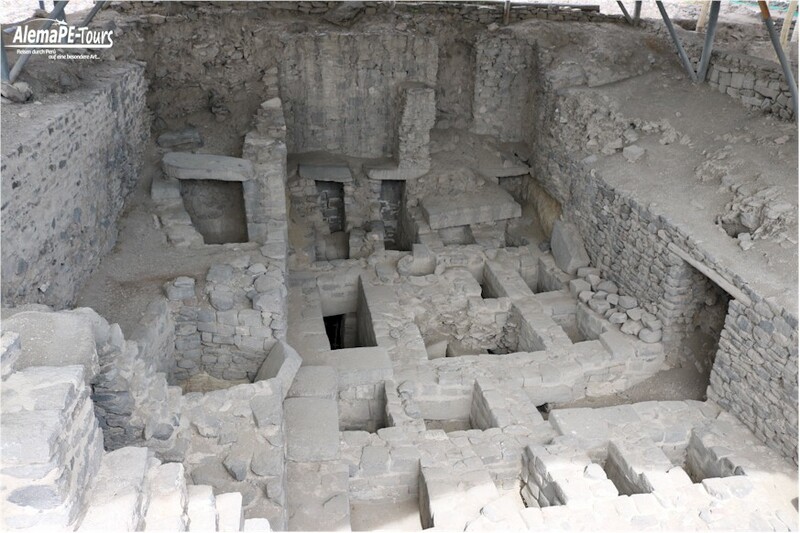 Several structures stand out among them: Vegachayoc Moqo, Templo Mayor, Mongachayoc (underground gallery to be used as a collective burial place), Cheqo Wasi (also known as the “Wasi”) used as a funerary structure), Turquesayoc (possible neighborhood of jewelry artisans), among others. 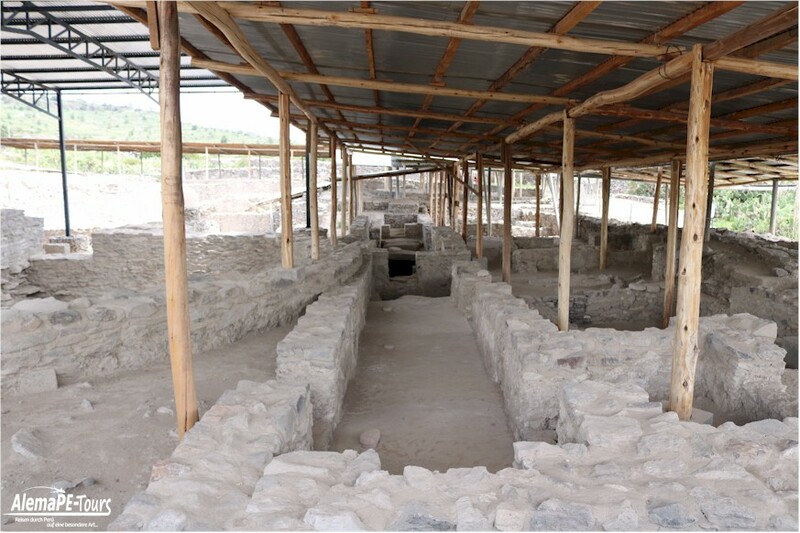 This complex has a site museum that exhibits archaeological material from the excavations at the site (ceramic vessels, clay, bone fragments, lithic, among others) and complements it with photographs and dioramas.